The Sony Air-7 is a vintage receiver. Thanks to the spacious layout, it's not to difficult to equip it with a discriminator output. 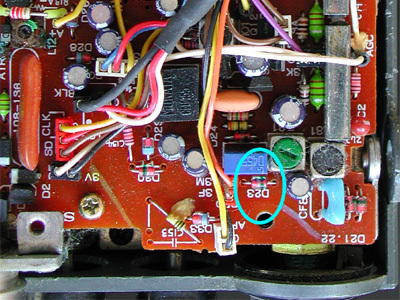 This receiver uses a discriminator circuit with discrete components: a ceramic filter and two diodes. 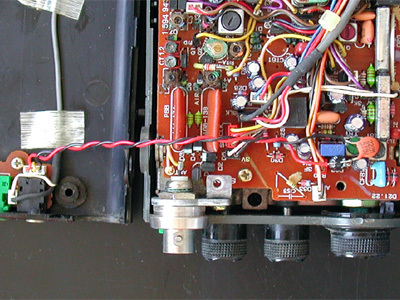 The unfiltered audio can be found on the cathode of diode D23. 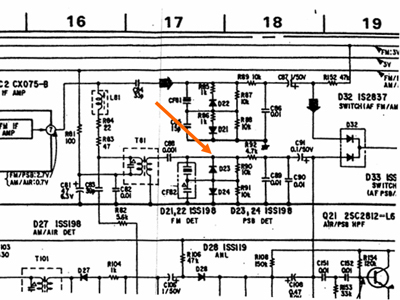 The linearity of this discriminator circuit is poor and therefore less suited for AIS. However, the Air-7 performs well as a paging receiver. 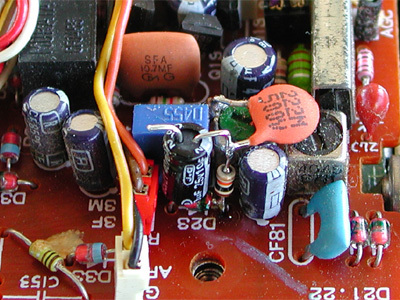 Solder the other lead of this capacitor to ground, e.g. the metal shield of the coil nearby. The earphone socket can be reused. 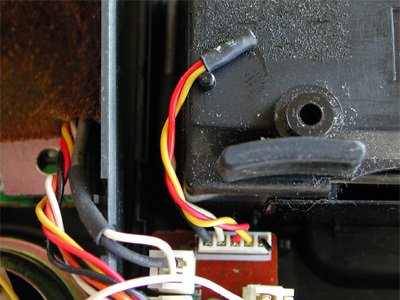 Connect the red and yellow wires and isolate them with tape or shrink tubing. This reconnects the loudspeaker.